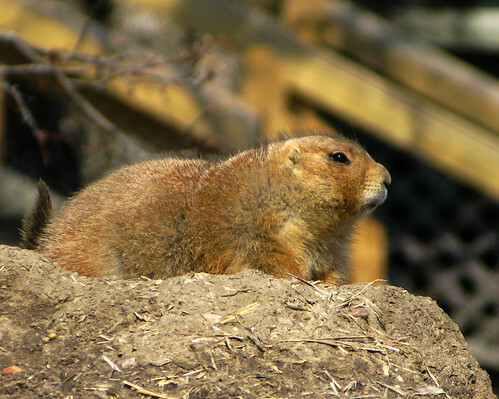 Black-tailed prairie dog emerging from his burrow. Cold spring day. Nice warm sun. Taken March 27, 2009 at the Blank Park Zoo, Des Moines, IA. Trying out my new telephoto lense. Uploaded by Don3rdSE on 28 Mar 09, 6.24AM PDT.